Today only, while supplies last this Insignia™ – 3.2L Analog Air Fryer is on sale for $39.99 Shipped (Retail $79.99). Want to eat healthier without giving up the decadence of fried foods? The Insignia Air Fryer is your solution. 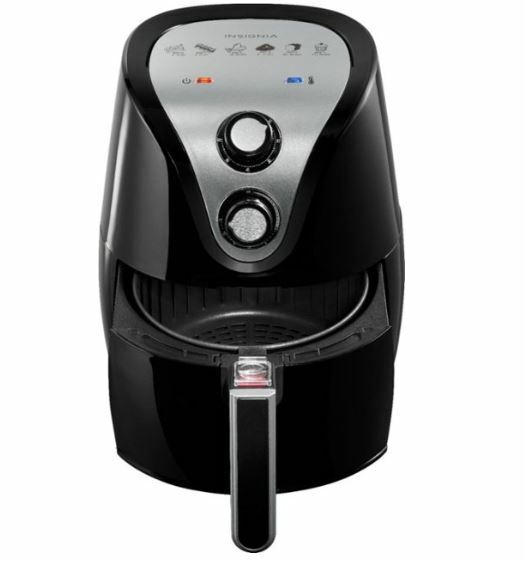 By circulating hot air, this air fryer creates a crispy outer layer that locks in moisture. The technology cooks your food using little to no oil, resulting in a tasty, healthier alternative to deep frying. With its intuitive mechanical controls, the Insignia Air Fryer makes it easy to prepare all your favorites. And, cleanup is easy with the dishwasher-safe basket and pan – no need to discard leftover oil ever again. Check out all of the 50% off Air Fryer Deals available TODAY ONLY, HERE.